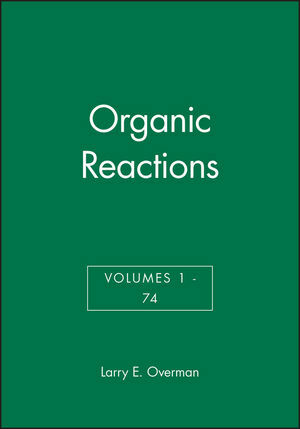 The volumes of Organic Reactions are collections of chapters each devoted to a single reaction, or a definite phase of a reaction, of wide applicability. The material is treated from a preparative viewpoint, with emphasis on limitations, interfering influences, effects of structure and the selection of experimental techniques. Numerous detailed procedures illustrate the significant modifications of each method. Includes tables that contain all possible examples of the reaction under consideration. 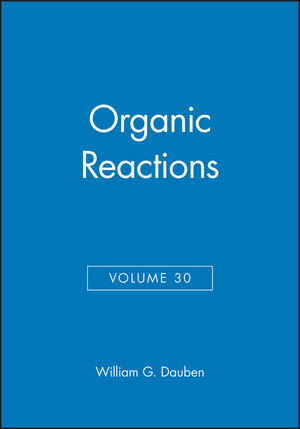 William G. Dauben is the editor of Organic Reactions, Volume 30, published by Wiley. Photocyclization of Stilbenes and Related Molecules (F. Mallory & C. Mallory). Olefin Synthesis by Deoxygenation of Vicinal Dials (E. Block).